Most times, we don’t really think that a facelift is achievable without the use of a make-up box or some other equivalents. In the real sense, it actually might be. With some creams and serums, you might be able to maintain your skin colour, freshness and youthfulness without the after effects of cosmetics and the pinch of brushes. One of such formulations designed for these anti-aging and glowing benefits is Le Lift Crème. 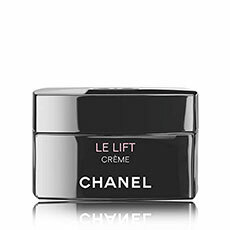 What is Le Lift Crème? Le Lift Crème is a soft face cream that is believed to be able to help tackle the challenges of a quick aging face, contour and facial linings. According to the manufacturer, the product is described as mild and comforting, hence, it is touted as being able to firm the skin, tone the complexion and straighten facial wrinkles. It is also reported as containing 94% natural ingredients and might work well in smoothening and illumination of the skin. Who is the Manufacturer of Le Lift Crème? Chanel Le Lift is the producer of Le Lift Crème. Chanel is known to have a long line of manufacturing which includes fashion, jewelry, facial and skin care. In the subset of the latter, they are also the producers of LE LIFT CREME YEUX, another Anti-Wrinkle Cream and LE LIFT SERUM, an Anti-Wrinkle Serum. The company has a rich history having been in existence for over a century since its establishment by Gabrielle Chanel in 1910. How Does Le Lift Crème Work? The product is believed to contain an ingredient, 3.5-DA3, which naturally detects and then works against aging factors in individuals. It might be able to help return the skin to its optimal firmness while also improving tone and suppleness. With the cream being able to dissolve in a moment, it could also be useful in boosting skin’s elasticity, thereby revealing a softer, firmer and well defined facial contour. Le Lift Crème Ingredients – Are they Safe & Effective? Glycerin – Known to be gentle on the skin, glycerin is believed to be able to enhance skin permeability. It might also be useful for anti-aging effects. Cetearyl Alcohol – Derived from vegetables, it is a mixture of cetyl and stearyl alcohols that contains emollient properties which could leave the skin soft and glowing. Butyrospermum Parkii – Popularly known as Shea butter. It is portrayed as being able to help lessen the loss of water on the surface of the skin. It could also work well in reducing dryness on the skin. Ipomoea Batatas Root Extract – Commonly known as sweet potatoes. It is projected as containing high levels of Vitamin A, C, and E, all of which are believed to be able to enhance good skin and hair health. It might be able to repair skin that is damaged due to exposure to Ultra Violet light and could also slow down the cell aging process in the skin helping you retain a youthful look for longer. Jojoba Esters – This ingredient has been suggested to be able to contain wax esters, which act as a natural moisturizer and barrier for the skin. What are the Advantages of Le Lift Crème? The product has been described as having a rich and creamy texture. Some buyers have lauded the fragrance of the product. It might be able to promote a firmer skin and reduce brown spots. What are the Disadvantages of Le Lift Crème? The product is relatively expensive when compared to other alternatives. Some buyers have suggested that the product might not be able to remove existing wrinkles. The product might also not be able to lift sagging skin as the manufacturer projects. How Should You use Le Lift Crème? The manufacturer informs that user should apply the cream on the face and neck region, first in the day and next at night. How Much Does Le Lift Crème cost? The manufacturer of Le Lift Crème put up the product for sale at $165. Payment can be made through verified payment gateway systems available on the product website. What is Le Lift Crème’s Return Policy? Whether product was purchased online or at a Chanel store, the manufacturer provides for the return or exchange of Le Lift Crème at the nearest Chanel boutique or by mail within 14 days of the date of purchase. The product must however remain unaltered and accompanied by a receipt. Does Le Lift Crème offer a Free Trial? The manufacturer of the product does not disclose if there are any offers for free trial for this product. Le Lift Crème with its supposedly ultra-powerful ingredient, 3.5-DA might be able to provide a much needed personalized skincare. It could also function well in enhancing skin elasticity and the toning of complexion to unveil the best firmness of your skin. However, the extremely high pricing of the product, and the lack of empirical evidence to back up the firmness claims of the product might be worth thinking over. That said, we know that there are other substitutes of this anti wrinkle cream available and may likely offer more proven advantages than this product, hence, we recommend that you try out extensive research before committing to buy.